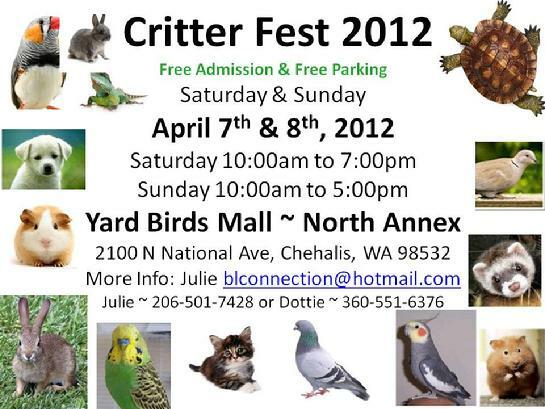 Critterfest is the place where breeders can bring their animals to show or sell. The public can see first hand some of the species that never make it to the pet stores. You can also learn about the pet you are interested in from the breeders. Come meet the animals, Visit with the Breeders and Owners.